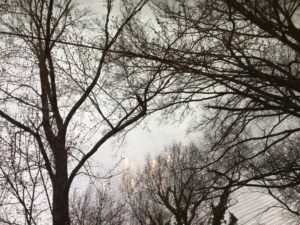 Good morning from the Northern Virginia-DC Metro area where the wind is hanging around 30-40 MPH and gusting to 70 MPH, affectionately known as Windmageddon. It’s not raining. It’s not that cold. School is cancelled, but there’s no snow. We can’t go outside or my tater-tot sized little ones my blow away and the taller ones will point out the parenting flaws in the Wizard-of-Oz like weather. So we’re working on all kinds of fun things to keep everyone occupied–and I have grand plans to catch up on my audiobook wish list today– plus, just like we do in the summer, our after lunch “calm” activity will be a kid’s audiobook while I knock out some household chores that are easier without my helper bees. Ice melting contest. There’s a toy inside and they have warm squirt bottles, haha! And something to make up for Read Across America Day which was supposed to happen at school today. Ideas? Judy Blume’s kids books. All of them. LOL. Everything I’ve listened to is amazing! Stuart Little. The writing is so fantastic kids can really visualize this! Romance everything. If that’s your thing, don’t forget that Audible has the Romance Listening Package! A small upgrade to your Kindle Unlimited account will get you unlimited listens. If you’re not already an audiobook listener, you can try Audible and get two audio books for free. There’s a free thirty day trial to see if it’s your cup of tea. Or the key to your Windmageddon survival! Please note that some of the links on this site may include affiliate links for Amazon, iBooks, Performance Horizon, or other retailers. Affiliate advertising programs are designed to provide a means for sites to earn advertising fees by advertising retailers and is paid by the retailer not the customer.